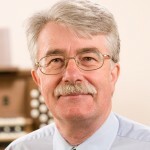 David Mason, owner of Viscount Classical Organs, was introduced to us through one of our web developer partners and we’ve been working with him since 2013. The church organ space has an extremely active and engaged audience and David has managed to do a brilliant job with capturing them on social media. No other competitor is doing as much as he is. We support him in managing his blog posts, creating content for Twitter and Facebook – as well as helping him to promote the huge amount of events he supports for both local and international artists (amateur and professional). Be sure to check out his “Diary of a Page Turner” series – he goes to gorgeous places around Europe to assist organ players in ancient churches and writes about it. Social media is a fast changing environment that is a full time specialism to stay on top of. Platforms are continually evolving and irritatingly changing their buttons and tools. You have to be on it full time to keep up to date and you can confidently rely on Social Intelligence to do that for you. 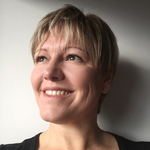 Shelley and her team provide very responsive and knowledgeable assistance to managing all aspects of social media and web based marketing tools. I find their virtual assistance support is incredibly helpful – there are so many details to cover and they are aways on hand to help. What is the one thing that gives you a huge sigh of relief to hand over to Social Intelligence to do for you? I produce a lot of content, so its a relief to just give Shelley rough outlines and photos and I know can safely leave her to polish the content and format it in a way that its best presented on the various platforms that each require specialist knowledge to fully exploit.